Former political prisoners Intigam Aliyev, Anar Mammadli, Rasul Jafarov, Tofig Yagublu, Rashadat Akhundov, Yadigar Sadigov, Bashir Suleymanli, Zaur Gurbanli, Uzeyir Mammadli, Mammad Azizov and Omar Mammadov have appealed to state authorities demanding an investigation into the facts of torture of youth activists Bayram Mammadov and Giyas Ibrahimov. Intigam Aliyev, Bashir Suleymanli, Anar Mammadli and Rasul Jafarov are human rights defenders, Tofig Yagublu is a journalist, Yadigar Sadigov is a representative an opposition party, and Zaur Gurbanli, Uzeyir Mammadli, Mammad Azizov, Omar Mammadov and Rashadat Akhundov are members of NIDA civic movement. 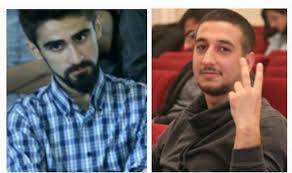 “Elchin Sadigov, the lawyer of Bayram Mammadov and Giyas Ibrahimov who were arrested on May 11, has reported that the youth activists were subjected to torture, inhuman and degrading treatment upon detention and in police custody. In their personal statements addressed to their lawyers, the youths give a detailed account of the torture that they suffered upon detention on May 10 and subsequently at Baku City Main Police Department, Narimanov District Police Department and Khatai District 12th Police Station. The youths’ statement reveals shocking facts. The responses to media representatives’ questions addressed to law enforcement agencies and other competent authorities regarding the incident show that the state is unwilling to investigate these facts. Journalists’ attempts to get information from press services of the Ministry of Internal Affairs (MIA) and the Prosecutor General’s Office about investigation of the torture allegations were unsuccessful. Khatai District Court has decided to investigate whether or not the torture allegations are true. However, although 6 days have passed since the decision was made, the prosecutor’s office employee responsible for investigating the instance of torture has not yet met with the attorney or the youths. All these facts give reason to believe that the authorities intend to cover up the incident,” the statement reads. The former political prisoners expressed their concern over the failure to investigate the reports of death and torture in police custody, prisons and detention facilities lately and the impunity for the wrongdoers. “The Prosecutor General’s Office should launch a criminal case under Article 133 (torture) of the Criminal Code of Azerbaijan Republic. The officials of the police agencies, whose names are linked with the torture of the youths, should be suspended from duty for the duration of the investigation. Conditions should be created for an immediate independent medical examination of the youths. Independent civil society representatives, human rights organizations and representatives of international organizations conducting monitoring in this field should be given the opportunity to meet with the youths in order to be able to conduct public investigation into the incident,” the former political prisoners suggested in their appeal.